Fantastic image of our local star! Absolutely stunning. The diameter of the Sun is about 109 times that of Earth, and it has a mass about 330,000 times that of Earth, accounting for about 99.86% of the total mass of the Solar System. Chemically, about three quarters of the Sun’s mass consists of hydrogen, whereas the rest is mostly helium, and much smaller quantities of heavier elements, including oxygen, carbon, neon and iron. The Sun is a G-type main-sequence star (G2V) based on spectral class and it is informally designated as a yellow dwarf that formed approximately 4.567 billion[b] years ago from the gravitational collapse of a region within a large molecular cloud. Most of the matter gathered in the center, whereas the rest flattened into an orbiting disk that became the Solar System. The central mass became increasingly hot and dense, eventually initiating thermonuclear fusion in its core. It is thought that almost all stars form by this process. 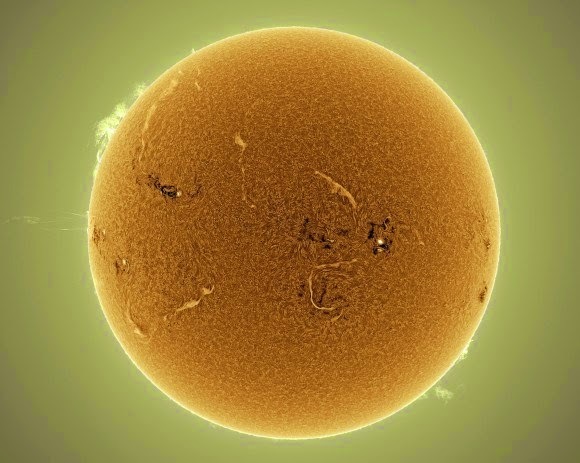 The Sun is roughly middle age and has not changed dramatically for four billion[b] years, and will remain fairly stable for four billion more. However, after hydrogen fusion in its core has stopped, the Sun will undergo severe changes and become a red giant. It is calculated that the Sun will become sufficiently large to engulf the current orbits of Mercury, Venus, and possibly Earth. 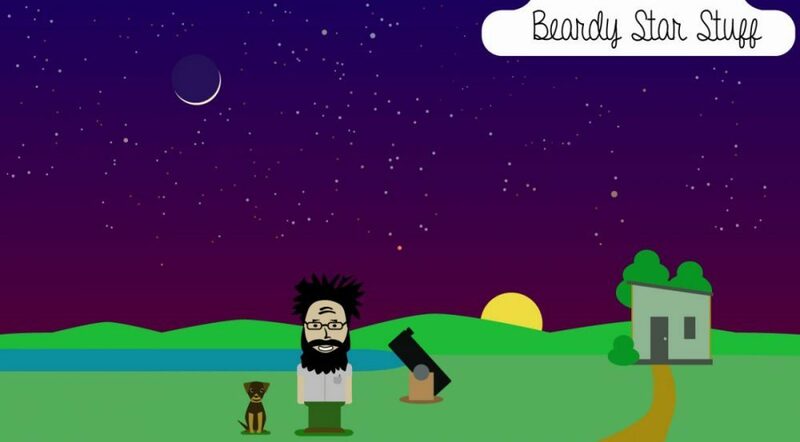 This entry was posted in Astronomy, Solar System on August 29, 2014 by Denny. 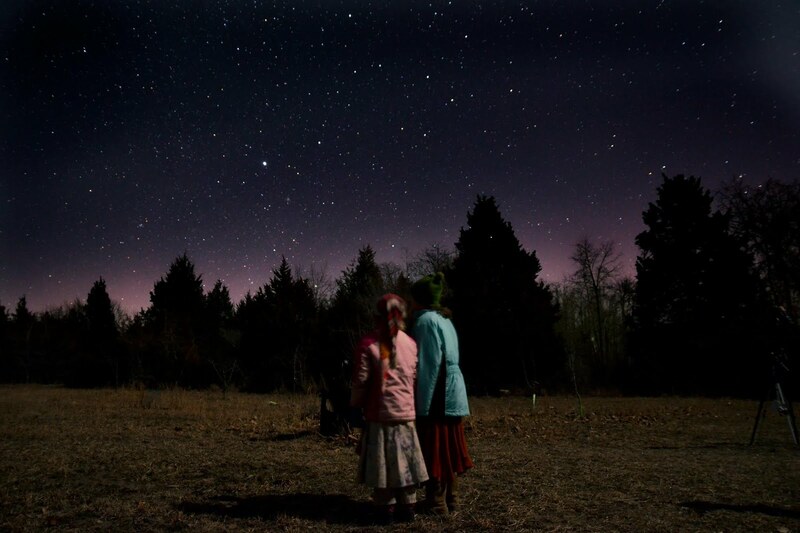 Eastern Ozarks Astronomy Society First Night! A brief report on what was happening in Madison County Missouri last night. It was one of those nights that just seemed… perfect. 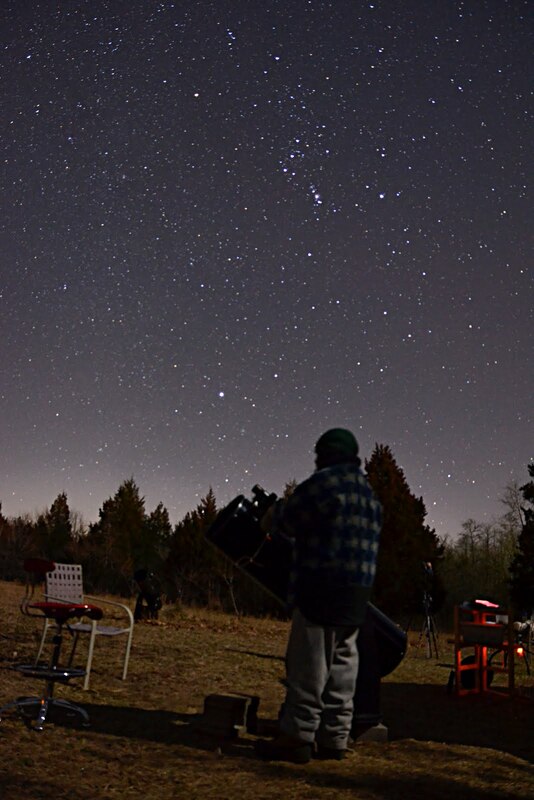 This was our first group viewing session since forming the Eastern Ozarks Astronomy Society which kinda makes it seem official and made it seem something of an occasion. My friend Russ Middleton got some great photos and one of our new members, Kaleesha, and her girls had a look at a nice variety of nebulae: Orion, Pac Man, Eskimo and M1, the Crab. We also took a look at Jupiter and ended the group viewing with Bode’s Nebulae, M81 and M82. Lots of great astronomy talk about the Cosmic Microwave Background, the Bing Bang, and how astronomers (and science in general) come to know things through the scientific method. After everyone left I warmed up inside for a couple hours and went back out after the moon set. I logged 13 galaxies, a planetary nebula and a globular cluster, M68. Five of those were Messiers bringing my total on that list to 103, just 7 more to go! Messier 104, the Sombrero, was really impressive and with averted vision I was able to make out the dust lane. M68, was really beautiful with many of its stars nicely resolved. I also added nine more to my list of viewed Herschels, bringing me up to 241 out of 400. The last object viewed from 4:20-5am was Saturn. This was, by far, the best view of the planet I’ve ever had in my life and honestly, I think I could have cried but it would have ruined the view so I didn’t let it happen. It was so otherworldly, and yet, so familiar an image. Viewing Saturn is always special but when it is so perfectly clear, it can be much more. I saw at least 5 of the moons as well as the Cassini Division in the rings, a first for me. Also saw clouds/color bands, another first for me. Sometimes language fails me. I can think of no better way to spend a night than this. This entry was posted in Astronomy, Living Simply, Science, Science Outreach, Solar System on January 18, 2013 by Denny. There is little doubt that when viewing planets in our solar system the two most likely to elicit a gasp of surprise from a first time planetary viewer are Jupiter and Saturn. In recent weeks Jupiter has been rising at a time early enough to be high in the horizon by 9pm. If you view too early, 6pm or so at the time of this writing the planet is too low and will likely result in poor seeing conditions which means that air turbulence will cause a bit of blurriness and shimmering. If however you view later in the evening there is less turbulence and it is higher in the sky so what turbulence there is will be less. This is especially noticeable at the high magnification used for viewing planetary details. With my 8″ diameter scope I use a 5mm eye piece which results in a magnification of 240x (this is figured by dividing the focal length of the scope by the eyepiece, in my case 1200mm/5mm=240x). This lens pushes the limits of my scope and unless seeing conditions are excellent my views are poor. This past week I’ve had several occasions to view Jupiter and it has been a fantastic view each time thanks to excellent conditions. At high magnification I can view several distinct cloud bands as well as the Great Red Spot as well as several moons, usually four depending on the time. Saturn is a bit more tricky at this time due to its position in relation to our planet’s daily revolution. At the moment Saturn rises just before the sun in the morning and sets just before the sun sets which means that to view it you have to look to the south east just before sunrise and it will be visible to the naked eye below Venus which is by far the brightest object in the sky at that time. At 5:50am Saturn will look like a small star midway between the horizon and Venus. Through my 8″ scope with the a less powerful eyepiece such as an 18mm the rings are visible but the planet appears fairly small. With the 5mm eyepiece and good seeing conditions the rings are easily visible and the overall image is stunning even in the bright morning light. In fact, I was still able to easily view the planet after it was no longer visible with the naked eye. Of course with a bright sky the color and details are not as clear. Of course this changes with each day because Saturn rises earlier in relation to the Sun and within just a couple weeks will provide a much better view with a much darker sky. At the end of November Saturn will be easily viewable at 5:15am when the sky is significantly darker. Around November 26 and 27th Saturn will be passing behind Venus which should provide an interesting view! By mid December the planet will be well above the horizon by 5:15am and the sun lower which will provide an incredible view. This entry was posted in Astronomy, Planets, Solar System on November 18, 2012 by Denny.